C&H Baldwin DS44-1000, #202 seen here in Calumet. (2) Donated in 1969 to Henry Ford Museum, Dearborn, Mi. and converted to oil-burner. Operates in summer months for tourists on 3/4 mile segment of track at adjacent Greenfield Village. 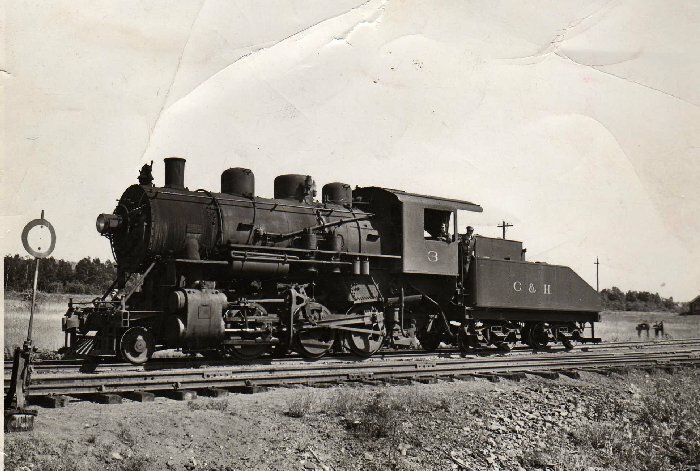 (3) Built as wide-firebox center-cab (Camelback) locomotive; later rebuilt with Belpaire boilers and rear cabs. Manitou acquired a second road number (probably 6). (4) Acquired a second road number (probably 5). (5) Acquired a seond road number (10). (6) Calumet and Hecla were built as Mineral Range Railroad Nos. 199 and 194 respectively and were purchased by C&H in 1925. 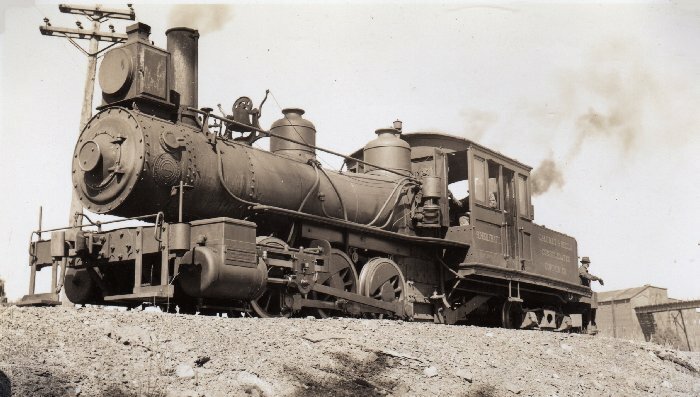 C&H locomotives built during and after 1907 were built as standard-gauge; all units except Montreal and Bete Gris remaining on the roster at that date were converted from their constructed gauge of 4'1" to standard gauge. (1) Sold to Escanaba & Lake Superior Railroad for service, 1971 (same road numbers). (2) Dismantled for C&H by Keweenaw Central Railroad tourist line; parts sold to E&LS, 1971, along with intact locomotives. (3) Originally U.S. Corps of Engineers (Garrison Dam Project) No. L-4; purchased by C&H, 1964; sold to E&LS for service, 1971 (same road number). (4) Nos. 205 and 206 originally Lake Superior & Ishpeming 1002 and 1003 respectively; purchased by C&H, 1967. (5) Sold to Marquette & Huron Mountain Railroad, May 1972. (6) Sold to Goodman Lumber Division, Goodman, Wis., 1967. 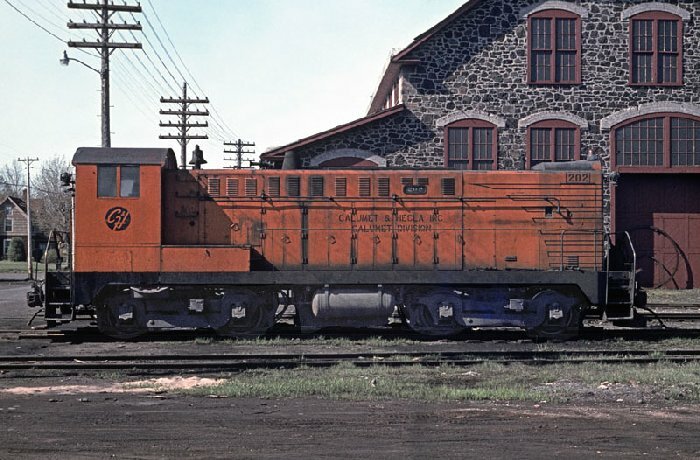 Then sold to the Central Wisconsin RR, year unknown, and then sold for $4000 to the Whitwater Valley Railroad, year unknown, that operated it for a few years until frame and turbocharger damage took her off service. No plan for its disposition is in place at this time. C&H also operated several narrow-gauge Plymouth diesel-mechanical locomotives for intraplant use. See my C&H in Color (and B&W) page for more C&H locomotive photos. Reprinted without permission from Trains Magazine August 1972. Please forgive me as I get so many email's asking for this roster to be printed.